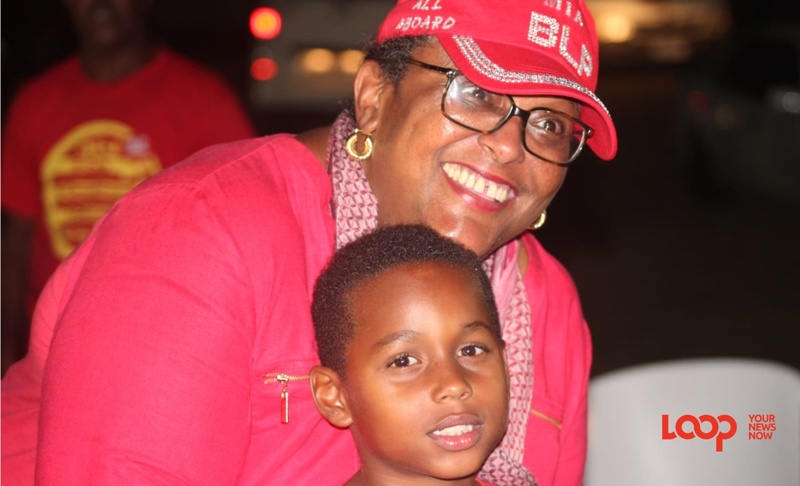 When the history books are written, it will be said that Barbados' second female Governor General Dame Sandra Mason had the responsibility of swearing in Barbados' first female Prime Minister Mia Mottley. This year, 2018, is continuing to shape up to be The Year of the Woman. 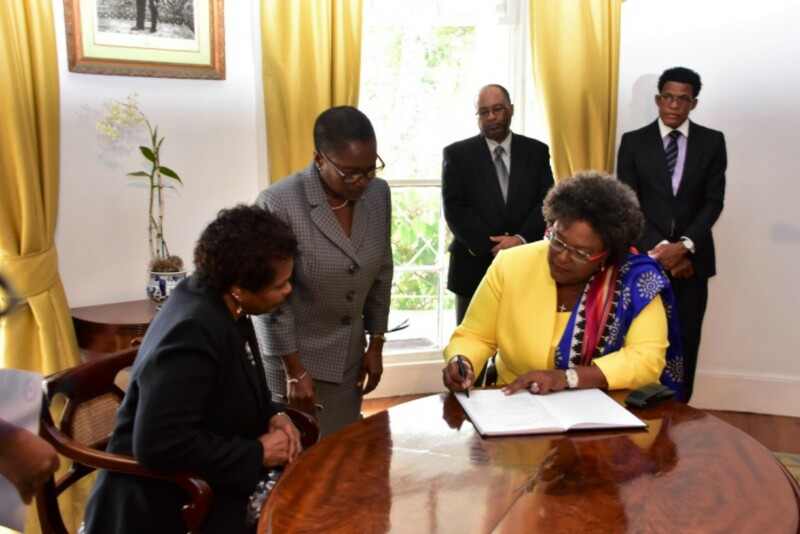 Set to start work as soon as her Cabinet takes their oaths on Sunday, May 27, Prime Minister Mottley assures that they are on a mission to stabilise and transform Barbados. She shared her plans earlier today with the media shortly after being sworn in as Barbados’ eighth Prime Minister at Government House, before Governor General Dame Sandra Mason, as well as family and friends. Mottley took the oath as Prime Minister at 12:26 p.m. and four minutes later, the island’s new Attorney General, Dale Marshall followed. 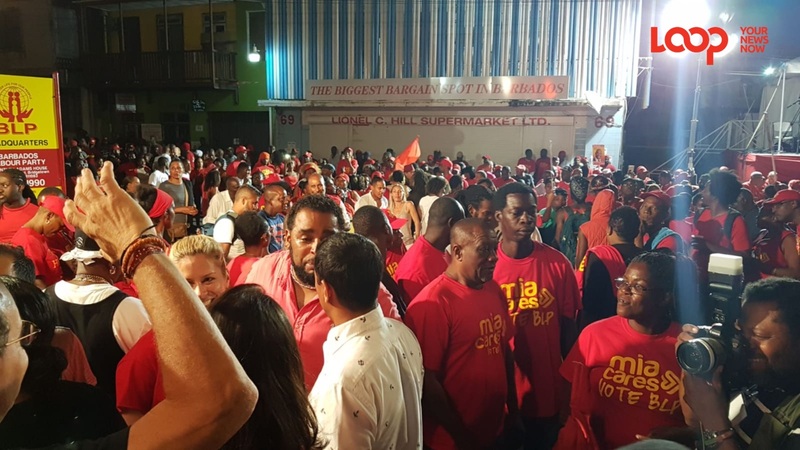 She added that her immediate order of business would include dealing with critical issues such as the South Coast Sewerage Project; the lack of public transportation; the absence of regular garbage collection; the payment of the foreign debt which is due this month; and stabilising the foreign reserves. 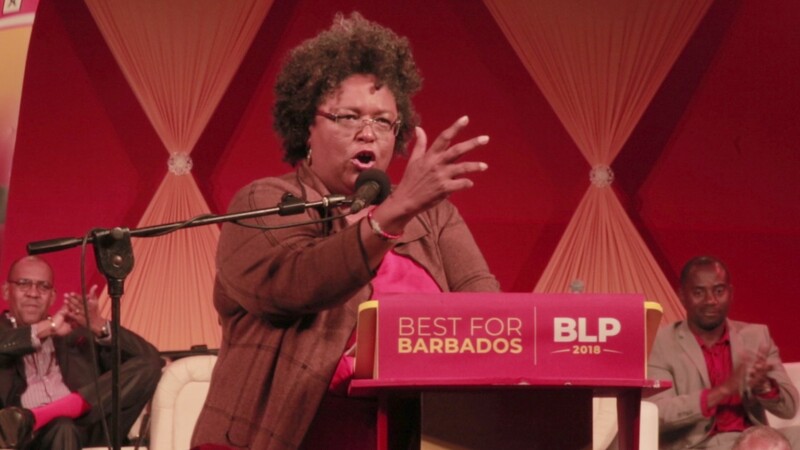 Mottley disclosed that she had already spoken to the leadership of the Social Partnership and indicated that she wished to meet with them on Monday, so they could set a framework by which to go forward. “I will want to meet twice monthly, particularly during this period of getting these mission-critical issues right, with the leadership of the Social Partnership because above all else, Barbados needs consensus to move forward. Barbados needs to be talked through the difficult decisions so that everyone can play their part. My mantra has been many hands make light work and it shall continue to be that way,” she stressed. The Prime Minister said that over the course of the next week, she hoped to put in place a financial discovery team so they could get a clearer picture as to the true state of Government’s finances so the necessary decisions could be made. In addition, she promised that Government would regularly communicate with citizens, at least twice monthly in the first instance and thereafter, as required. “There will be a Press Secretary to the Prime Minister’s Office and a Press Secretary to Cabinet. We recognise that in the absence, particularly, of an official Opposition, we have an even greater duty to keep the public of Barbados informed at all times and I intend to ensure that that is done,” she assured. The Prime Minister said Government had urgent business to attend to and she would therefore like the ceremonial opening of Parliament done within the next two weeks, at the very latest, so they could get on to the business of setting the country right. She added that there were a number of areas that would engage the attention of the Attorney General and listed them as including dealing with the backlog of court cases; reforming the criminal justice system; and establishing a commercial court and a family court that has hybrid jurisdiction. 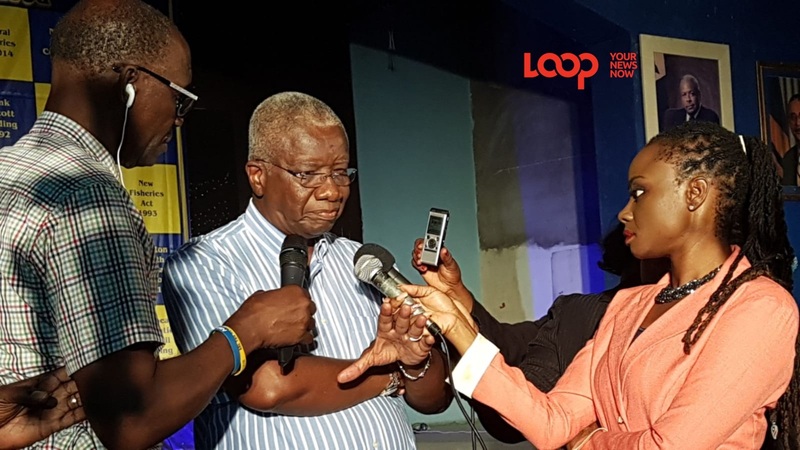 Mottley also noted that the public would have an opportunity to comment on some of the controversial pieces of legislation, namely the Police Act and the Road Traffic Act, and where necessary, sections would be repealed.